As it’s Scotland’s national Burn’s Night we thought we’d give a wee shout out for the Edinburgh Capital Sci Fi Con. 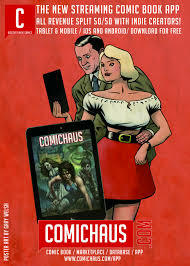 it’s taking place not far from ComicsFlix Towers on 3rd & 4th February at their new home in the Edinburgh Corn Exchange. We are very excited to hear that ‘Ace’ Sophie Aldred and ‘Doctor Who’ himself Sylvester McCoy will be attending. There are a number of guest stars also attending including Scottish comic artist Gary Erskine. Some of Gary’s early work is part of an auction of very rare and collectible 80’s Scottish ‘Fusion’ Fanzines. Details can be found here. The auction is to raise funds for a new Scottish comic art project and rare items featuring 2000AD, Grant Morrison, Alan Moore, Alan Davis, Dave Gibbons, Mick McMahon and Brian Bolland can be found here. The first auction closes Monday night. Scotland has a strong history with Comics and comic conventions. Indeed it is believed modern Comics originated in Scotland – you can read more in our feature Scotland in the Comics. Tickets for the Capital Sci Fi Con are available online but close midnight on 25th January, to allow for ticket sales on the day. Next Karen Gillan and David Tennant at Glasgow Film Festival.